Glasses and alphabet on navy blue. 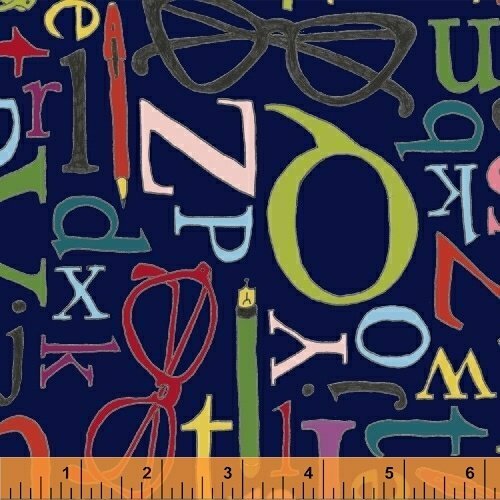 Word Play designed by Sarah Fielke for Windham Fabrics. 108" wide quilt backing. 100% cotton.